A diagnosis of Alzheimer's disease (AD), sadly, has become a rite of passage in so-called developed countries. AD is considered the most common form of dementia, which is defined as a serious loss of cognitive function in previously unimpaired persons, beyond what is expected from normal aging. "All three patients exhibited irritability, agitation, anxiety, and apathy, two patients suffer from urinary incontinence and wonderings. 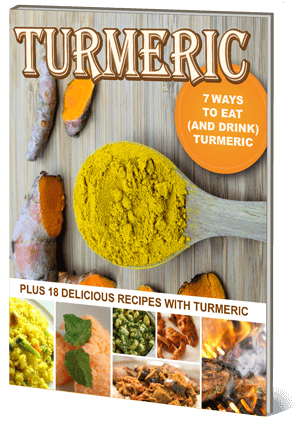 They were prescribed turmeric powder capsules and started recovering from these symptoms without any adverse reaction in the clinical symptom and laboratory data." "In one case, the Mini-Mental State Examination (MMSE) score was up five points, from 12/30 to 17/30. In the other two cases, no significant change was seen in the MMSE; however, they came to recognize their family within 1 year treatment. All cases have been taking turmeric for more than 1 year, re-exacerbation of BPSD was not seen." This study illustrates just how powerful a simple natural intervention using a time-tested culinary herb can be. Given that turmeric has been used medicinally and as a culinary ingredient for over 5,000 years in Indian culture, even attaining the status of a 'Golden Goddess,' we should not be surprised at this result. Indeed, epidemiological studies of Indian populations reveal that they have a remarkably lower prevalence of Alzheimer's disease relative to Western nations,  and this is true for both rural and more "Westernized" urban areas of India. Anti-cytotoxic: Curcumin appears to protect against the cell-damaging effects of β-amyloid proteins. Anti-amyloidogenic: Turmeric contains a variety of compounds (curcumin, tetrahydrocurcumin, demethoxycurcumin and bisdemethoxycurcumin) which may strike to the root pathological cause of Alzheimer's disease by preventing β-amyloid protein formation. Metal-chelating properties: Curcumin has a higher binding affinity for iron and copper rather than zinc, which may contribute to its protective effect in Alzheimer's disease, as iron-mediated damage may play a pathological role. Cocoa: A 2009 study found that cocoa procyanidins may protect against lipid peroxidation associated with neuronal cell death in a manner relevant to Alzheimer's disease. Sage: A 2003 study found that sage extract has therapeutic value in patients with mild to moderate Alzheimer's disease. Folic acid: While most of the positive research on this B vitamin has been performed on the semi-synthetic version, which may have unintended, adverse health effects, the ideal source for this B vitamin is foliage, i.e. green leafy vegetables, as only foods provide folate. Also, the entire B group of vitamins, especially including the homocysteine-modulating B6 and B12, may have the most value in Alzheimer's disease prevention and treatment. Resveratrol: this compound is mainly found in the Western diet in grapes, wine, peanuts and chocolate. There are 16 articles on our website indicating it has anti-Alzheimer's properties. Gingko biloba: is one of the few herbs proven to be at least as effective as the pharmaceutical drug Aricept in treating and improving symptoms of Alzheimer's disease. Melissa offinalis: this herb, also known as Lemon Balm, has been found to have therapeutic effect in patients with mild to moderate Alzheimer's disease. Saffron: this herb compares favorably to the drug donepezil in the treatment of mild-to-moderate Alzheimer's disease. As always, the important thing to remember is that it is our diet and environmental exposures that largely determine our risk of accelerated brain aging and associated dementia. Prevention is an infinitely better strategy, especially considering many of the therapeutic items mentioned above can be used in foods as spices. Try incorporating small, high-quality culinary doses of spices like turmeric into your dietary pattern, remembering that 'adding it to taste,' in a way that is truly enjoyable, may be the ultimate standard for determining what a 'healthy dose' is for you.